First impressions are everything! 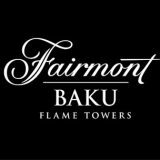 Your engaging smile and personality are the essence of a great Guest Services Agent with Fairmont Hotels & Resorts. As you personally greet our Guests and assist them throughout the day, you will be empowered to deliver on our mission of “Turning moments into memories for our guests”.